The governor of Texas proclaimed September 15th to be Power Up @ Your Library Day for all Texas Libraries. Two hundred sixty-two Wood Wranglers participated in Wood Middle School’s Passport to PowerUp event in the library. 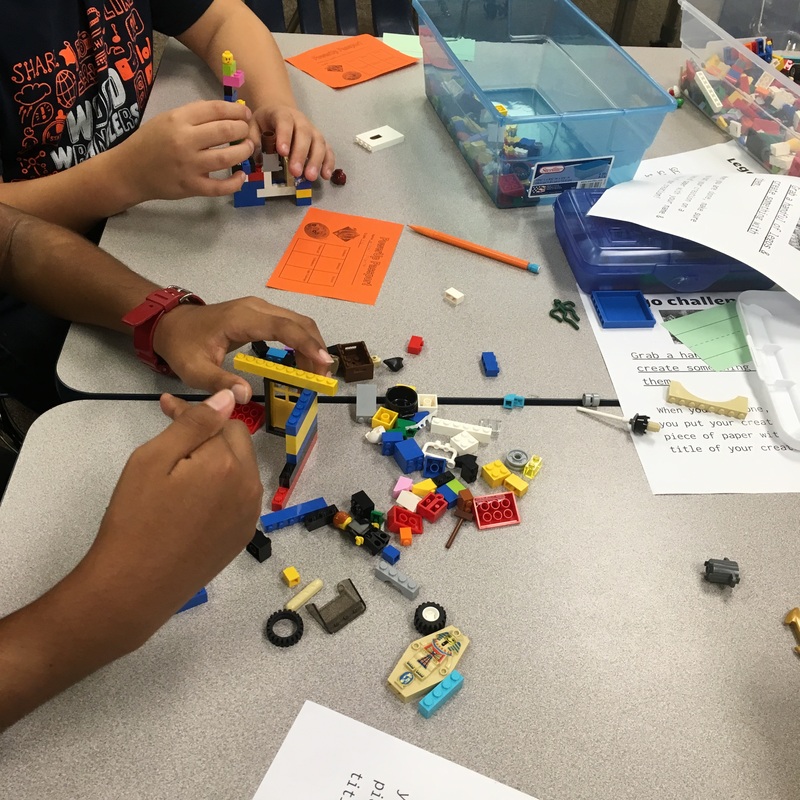 All day, students could explore a variety of activities that can power up students. 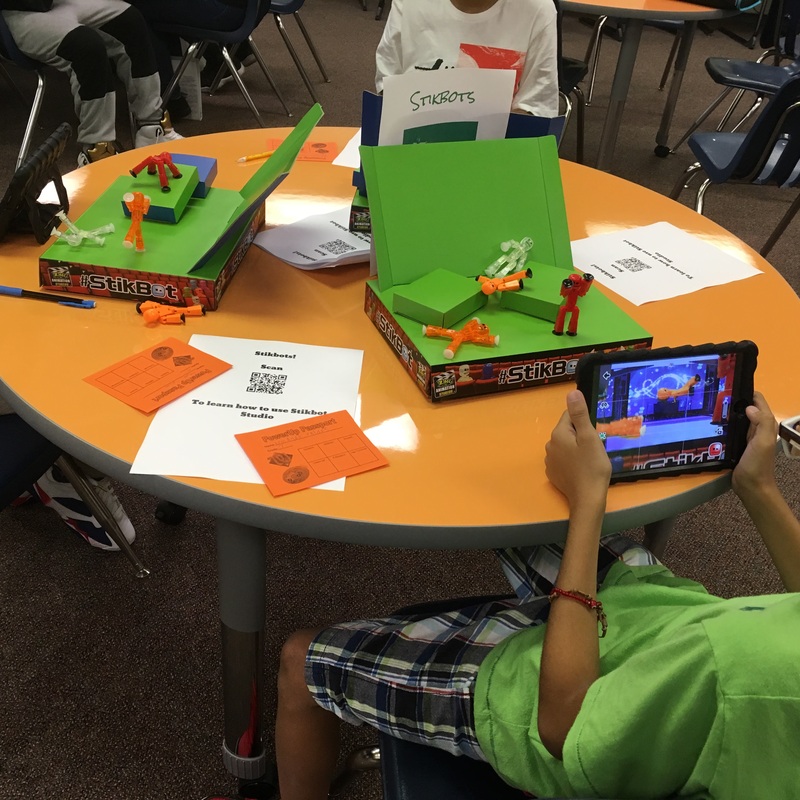 Some of these activities included were Ozobots, green screen stop motion animation, Legos, coding and 3D printing. Students said it was fun and wished they could stay all day. They liked having time to explore new things. 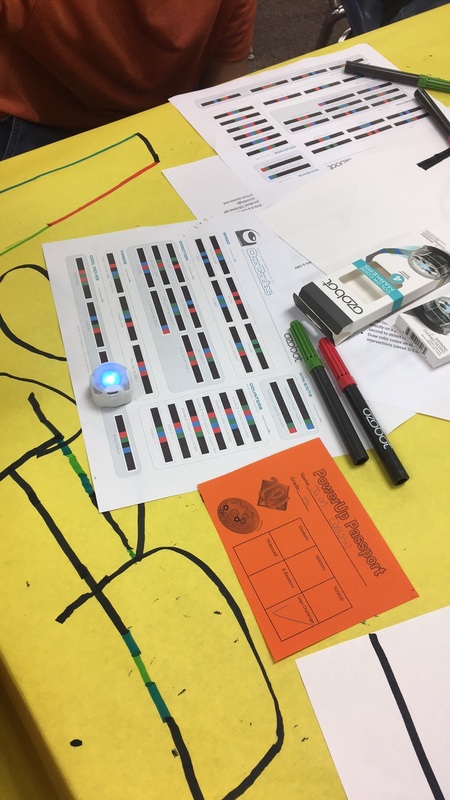 Their favorite activity was the Ozobots, a small spherical robot that can be programmed by color coding. All participants who turned in their passport was entered into a drawing for a Kindle Fire. 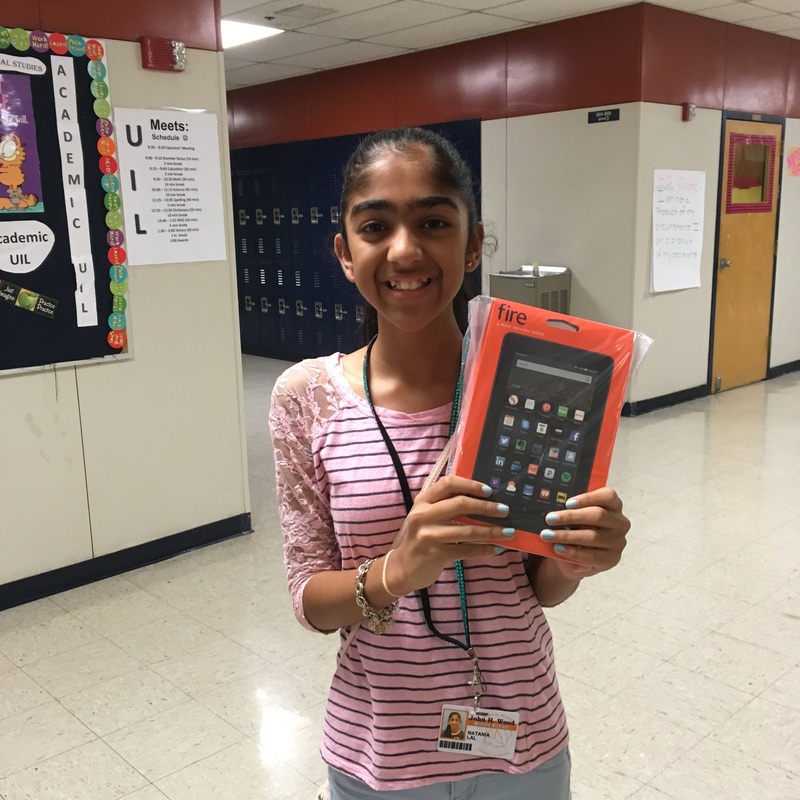 Natania Lal, a sixth grader was the lucky winner. The library plans to host more fun programs like this throughout the year.